Acrobat continues as a desktop product in both Pro or Standard editions, and is available either via subscription or with a perpetual (one-time purchase) license. “Acrobat 2017” is the most recent perpetual desktop version of Acrobat – in other words, not the latest release. “Acrobat DC 2019” is the current subscription version of Acrobat. With Acrobat DC, ongoing updates are included so you always have the most recent version of Acrobat software with the newest product innovations and tools for desktop and mobile. Note that this newly-upgraded desktop release of Acrobat Pro DC is also included as one of the many applications that all subscribers get with the complete (“All Apps”) Creative Cloud. And in maintaining our tradition of providing the direct download links for major Adobe products such as Creative Cloud, CS6, Captivate 11, and Elements 2019, you’ll find the direct links for the newest Acrobat releases below. As of this writing, direct download links for the all the other apps in CC 2019 are not yet available – but as soon as they are, we will have them «here». What’s New in Adobe Acrobat DC 2019 vs. DC 2018? A new collaborative PDF review service integrated across all DC apps designed to ease and speed the collection of feedback from multiple reviewers. It allows reviewers and initiators to participate from any device and includes new features like @ mentions, deadlines & reminders and notifications of review activity. A new unified experience across desktop, mobile and web including a new Home view, Document viewer, Tools panel, Commenting and Fill & Sign. The Home view is now the go-to-place to track and manage all documents that have been sent or received for viewing, reviewing or signatures. A new and simplified Share experience across all platforms that makes sending documents for viewing or reviewing via links as easy as sending an email but with a lot more control. For a complete rundown of the major differences between Acrobat DC 2019 vs. Acrobat 2017 vs. Acrobat XI (from 2012), see this product comparison page. 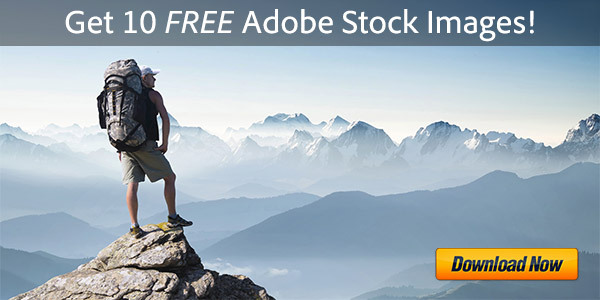 The links given below go to the authentic and secure files residing on Adobe’s servers, are guaranteed genuine, safe, legal, and will not change. They are especially useful when you are unable to download these products via other means – perhaps due to issues with the Adobe’s Download Manager. Here the file access is open and you can just use your browser, or another DLM. 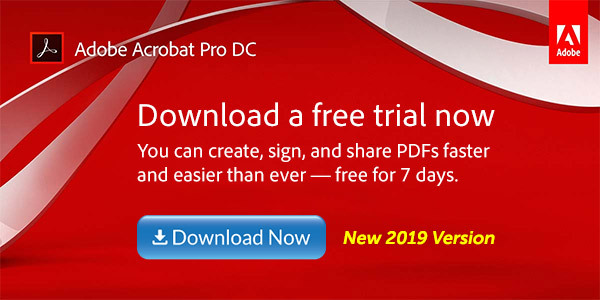 Note there is no actual trial version of Acrobat DC Standard for any platform, but Pro includes all Standard features – so you can try out Pro for free and then decide which version you want at the time of purchase. In other words, the Acrobat Pro and Acrobat Standard installers are the same. Naturally, the free Adobe Reader DC 2019 for PDF is also downloadable for both oper­ating system platforms – Windows (7, 8, 10) and macOS (10.11, 10.12, 10.13, 10.14). The trial versions include all desktop features of Acrobat Pro DC, plus a limited set of Document Cloud services including the ability to fill, sign, and send forms on a tablet device, store and share files online and access recently viewed files across devices. A paid subscription is required to take advantage of other services including the ability to get signatures from others; send and track documents online; and create and export PDFs from a browser or mobile device. If/when the free trial expires, you can still use Acrobat to view PDFs, comment and fill forms – but to access the full set of features again, you will need to purchase Acrobat. 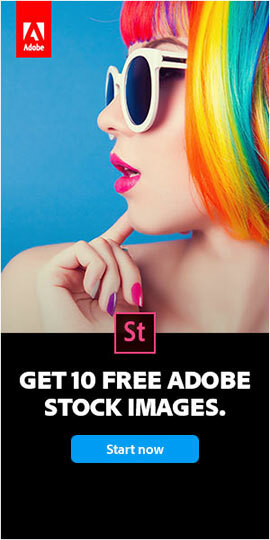 Except for the Reader, you must have a free Adobe account and be logged in to use the links below, as Adobe sets a session cookie on your browser that lets you to access the software. Otherwise, you will receive an “access denied” message preventing the connection. So please follow these instructions carefully. Adobe recommends temporarily turning off any browsing restrictions you might have running, like site or cookie blocking, filtering, firewalls or antivirus software. OK! Now you’re logged in at Adobe with the trials cookie set, so you can instantly download any of the links below. Just make sure you have enough disk space. This is the trial or version to download if you’re considering purchasing Acrobat DC by subscription, via a lower-cost monthly/annual plan. 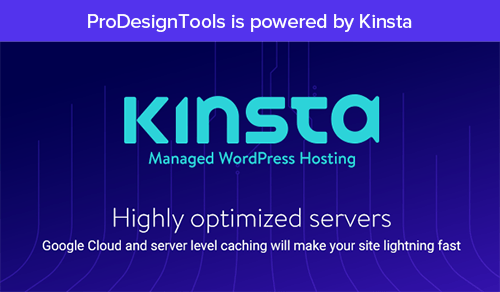 Subscribers are entitled to the complete product featureset, including forthcoming new features and improve­ments on an ongoing (or “Continuous Track”) basis at no extra charge, along with all product fixes and platform support enhance­ments. This is the trial or version to download if you intend to upgrade or buy Acrobat outright, via a tradi­tional (or “Classic”) perpetual license. Perpetual customers will get the regular product fixes and platform support enhance­ments, but don’t receive future new features or upgrades. Standalone product users also don’t have access to all the Acrobat DC web, mobile, and cloud-based workflows. Note: Before deciding whether to get the subscription or perpetual version of Acrobat DC, you should see this product comparison. This is the new Acrobat Reader DC 2019, which is completely free for all users. The trial version includes all desktop features of Acrobat Pro for 7 days from the time you first launch the program on your system. Installation of Adobe Acrobat Pro DC trial may uninstall any earlier version of Adobe Acrobat on Windows computers. If you want to reinstall the older release later, then you’d need your original serial number and software disc/installers. Acrobat Distiller DC, the batch engine for converting other types of documents into PDF files, is included within the Acrobat Pro/Standard downloads above. Make sure your computer meets the minimum system requirements for Pro/Standard and the Reader. For the smoothest installation experience, exit any open programs, including virus protection software, prior to installing the product. If you encounter any difficulties, try Adobe Assistance. What’s the difference between Acrobat DC vs. 2017? Is there a non-subscription version of Acrobat DC 2019 available? No – only Acrobat 2017 desktop software is available as a one-off purchase, which is a significantly older version… It does not include all the newer features added in DC 2019 and DC 2018, or quarterly Acrobat feature enhancements, or access to premium Adobe Document Cloud services like Adobe Sign via your web browser and mobile devices. 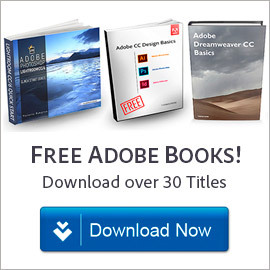 If you’re interested in the pricing of the Acrobat 2017 vs. Acrobat DC 2019 (Pro/Standard) releases, or to purchase either, see this Adobe page. subscription is the future and includes all the updates, and pushes you to constantly learn and stay up to date with all the programs. happy that there are no one-off purchases anymore. Do you need to be online in order to use the subscription version of Acrobat? The first time you open Acrobat DC desktop software, you’ll need an Internet connection for software activation. After that, you’ll be able to work offline with ease. Subscribers are asked to log in periodically to verify your credentials every 99 days if you have an annual plan versus every 30 days with a monthly plan. Only sending a document for e-signature with Adobe Sign and sharing PDFs with others requires an online connection, but of course using these features is optional and according to your needs. In other words, even the subscription version of Acrobat DC 2019 is still a full desktop application that downloads locally to your computer and can be run offline… It is not a web app that runs in your browser; however it does tie in with separate Acrobat mobile apps that can run on smartphones and tablets. 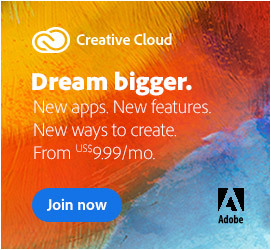 If I sign up for the cloud version of Adobe Pro DC, will I be able to use it on both my pc and mac? You don’t have permission to access “…/AdobeProducts/APRO/Acrobat_HelpX/osx10/Acrobat_2017_Web_WWMUI.dmg” on this server. All of the Acrobat direct links here work fine – but you have to make sure to follow the important download instructions first, which are given near the top of this page. Following those is required by Adobe’s servers (before clicking on the links), otherwise you will get that exact “access denied” message instead. If you have any further difficulties, then you might want to try with a different web browser or another computer and/or Internet connection – while still following those same directions. Also, make sure you’re not blocking or filtering anything with your browser(s) – like cookies, downloads, or any sites or URLs – or running utilities like Ghostery, AdBlock, or Disconnect. Or it could be your firewall, antivirus program (esp. Kaspersky), or other third-party security software. Adobe recommends turning those things off temporarily.